MOTIVATED SELLER! GORGEOUS TOWN HOME WITH OPEN LAYOUT AND TON'S OF UPGRADES! This 3 story, 2 bed, 3 bath town home is in the highly sought after Sage Valley with all the amenities youll love including a beautiful double sided fire place, 2 master suites with spacious walk-in closets and 2 peaceful patios to post up on after a long day. 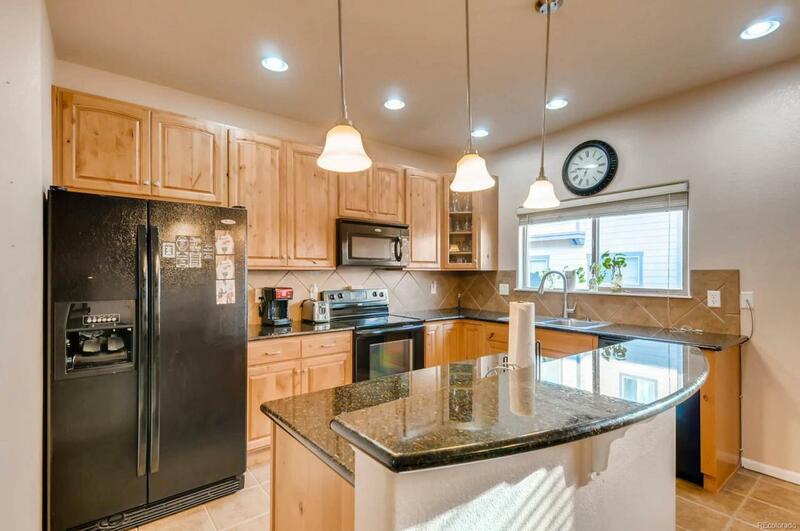 It also features A/C, an over sized 2 car garage, ample storage, upgraded lighting throughout, 5 piece master bathroom, separate dining room, and an extra room in the lower level perfect for a home office, den or storage room. Gourmet kitchen with granite, breakfast nook, tile floors, all appliances included and ample cabinet space. While this lovely home is tucked away in a quiet neighborhood, youre only steps away from the light rail station, fun neighborhood restaurants & plenty of places to shop! An added bonus is all window coverings will be included as well as the video surveillance system. ONE OF THE LARGEST 2 BEDROOMS in the complex.